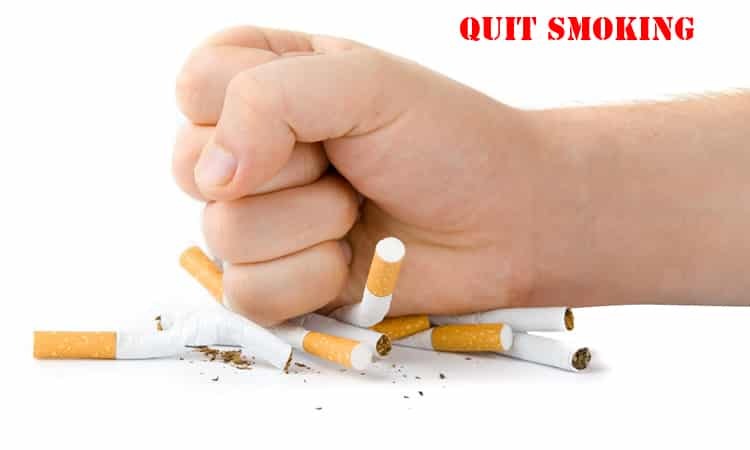 It’s a really difficult task to quit smoking if a person has been smoking for some time. You might have made a number of resolutions in order to quit smoking, but have you succeeded in giving up this habit? Smoking is the most awful habit one can ever have as it damages the lungs, throat, and mouth, leading to various diseases. Smoking is not something that will affect your body after a few years of smoking, but instead, it will affect your health from the very first puff. Quit smoking as soon as possible! Oats is an age-old remedy used to quit smoking. 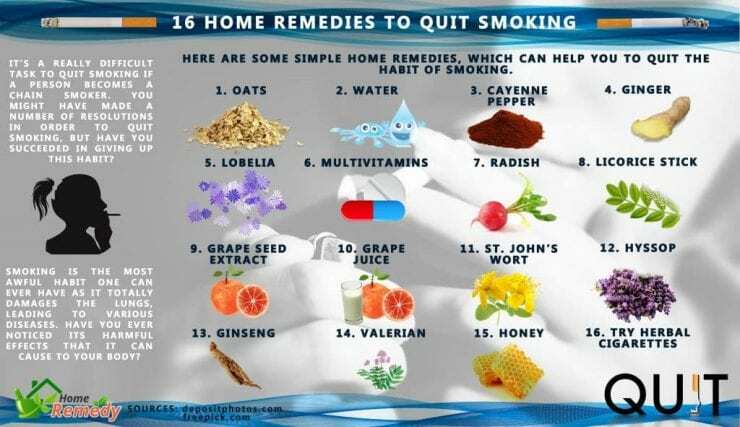 It is one of the best home remedies to stop smoking. Take a tablespoon of ground oats and mix it in 2 cups of boiled water. Leave it for a night, and then, boil it the next morning for about 10 minutes. Drink it after every meal. Avoid taking it at night. Oats helps to flush out the harmful toxins from the body while lowering the craving for smoking. It also helps in easing the withdrawal symptoms. Lobelia is also beneficial in lessening the craving for smoking. 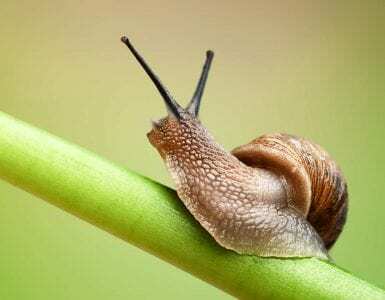 It helps to overcome the withdrawal symptoms, such as nausea, irritation, too much hunger, as well as poor concentration. Smoking causes deficiency of a number of vital nutrients in our body. This can be replenished by supplements of Vitamin A, C and E. These also help in coping up with the withdrawal symptoms of smoking. Vitamin A is beneficial in repairing the damaged mucus while Vitamin E repairs the damaged cells due to smoking. You can have orange juice to replenish the deficiency of Vitamin C in the body. This herb is useful in reducing the urge to smoke. It has been studied that 450 mg of St. John’s Wort capsule, if taken twice a day, will help to alleviate the habit of smoking. Hyssop can be taken to lessen the smoke withdrawal symptoms, such as anxiety and hysteria. It is also useful in clearing out the lung congestion. Valerian is one of the best herbs to ease out smoking withdrawal symptoms, like stress, anxiety, restlessness and insomnia. You can also try herbal cigarettes that have 0% nicotine in them. These are made with herbs, like mint, cinnamon, vanilla, licorice, lemongrass, cornsilk, or clover. They are completely nicotine free, but still give that same hand-to-mouth pattern and inhalation that smokers are used to. They come in plenty of flavor combinations for everyone to try.